Deneysha Riley joined EdVestors in September of 2018 as the Office Coordinator where she provides support for finance, operations, and grantmaking. Deneysha is passionate about education equity and supporting disadvantaged youth to reach their full potential. She previously worked to support youth in her community, serving as a camp counselor at W.H.T.A. Youth Builders and community organizer at Project R.I.G.H.T. Through this work she was able to create safe spaces, plan events, advise, and empower youth in the Greater Boston area. Deneysha has also had the opportunity to intern at U.S. Senator Elizabeth Warren’s Boston office, where she worked closely with Massachusetts constituents. 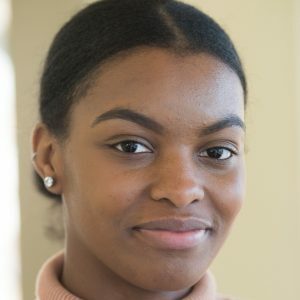 Deneysha graduated from Providence College with a bachelor’s degree in Political Science and Global Studies, while also completing a minor in African-American Studies.